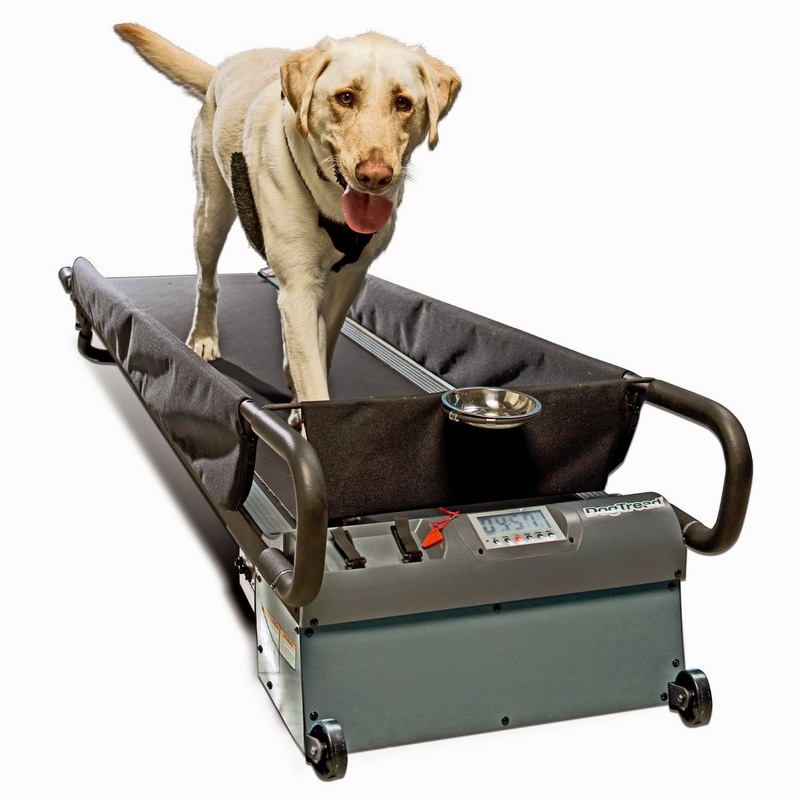 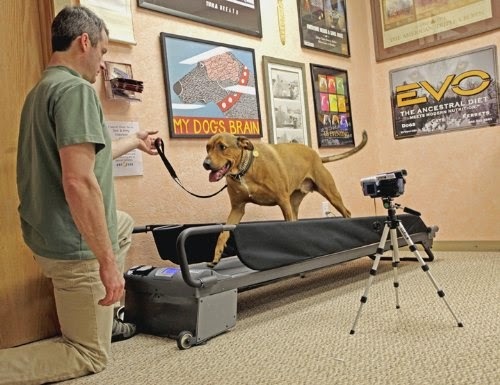 The Large 'DogTread' Dog Treadmill is perfect for dogs up to 150lbs. 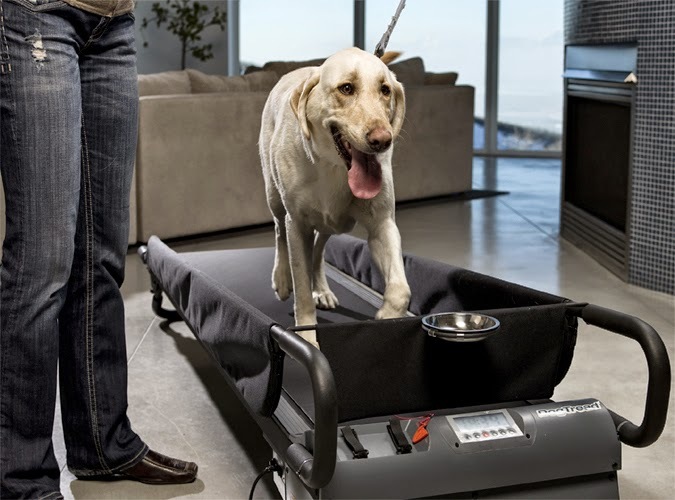 Sporty, sleek and whisper-quiet; specially designed to work with both your dog’s anatomy and behavior to satisfy your dog’s primal need to be walked the right way. 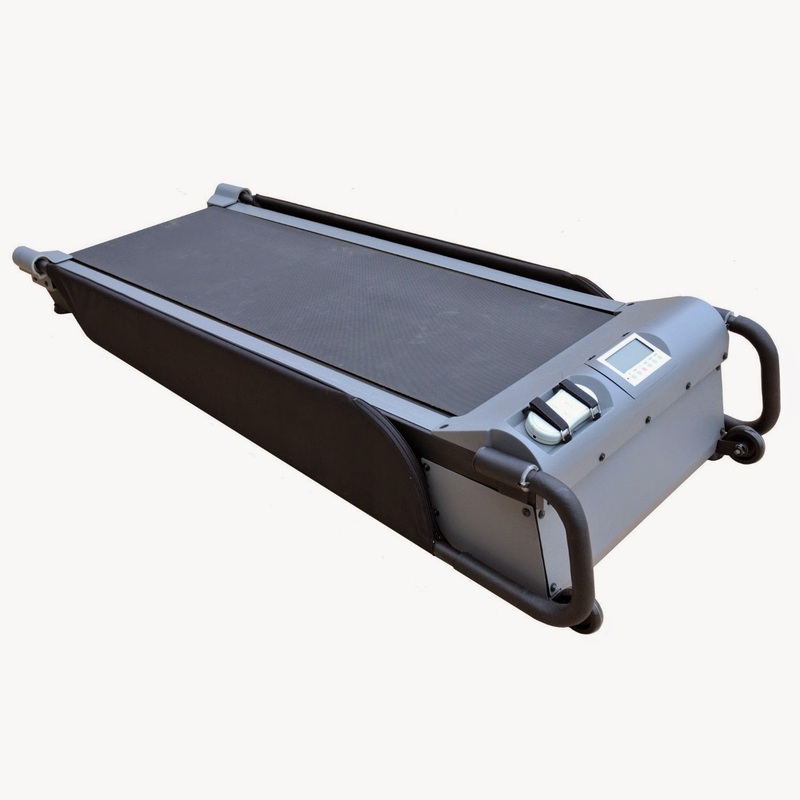 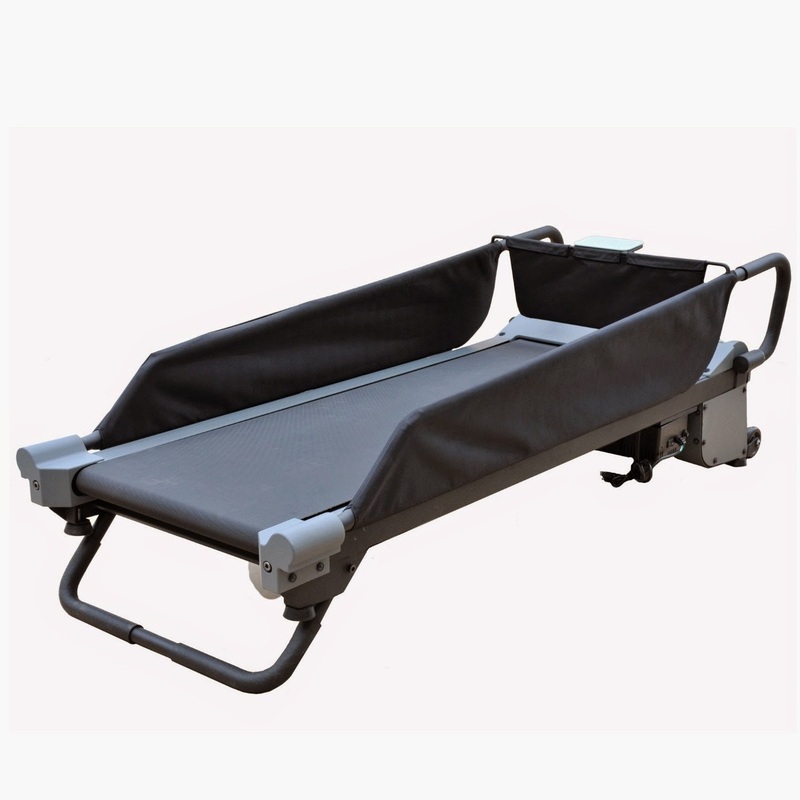 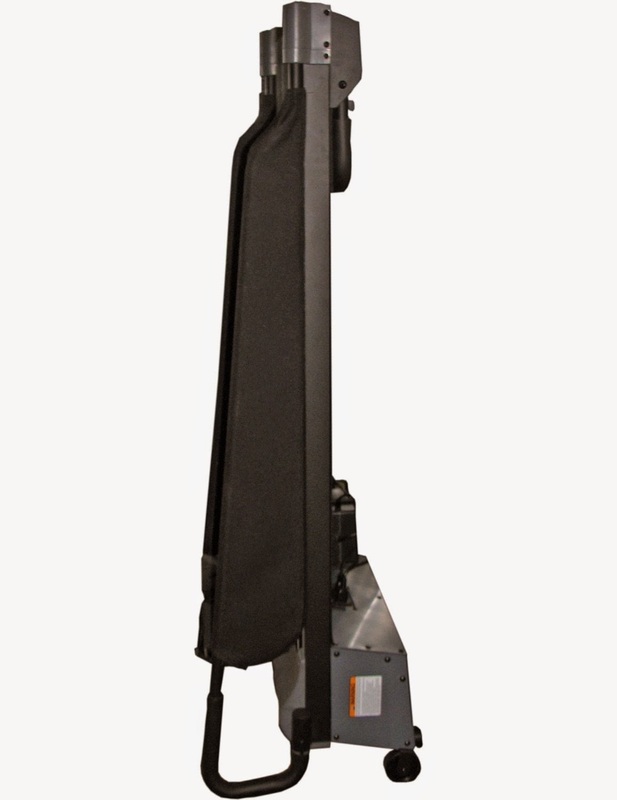 1-step easy flip-bar incline adjustment (no bolts or hooks to remove) makes it easy to increase training intensity and simulate outdoor terrain to develop strength and endurance.